Google penalties are being handed down more frequently, making it so important to earn high quality links and focus on the authority of the links you go after instead of the quantity. SEO is constantly changing and Google will continue to roll out Panda and Penguin refreshes to attempt to keep the search results relevant and high quality. Link building is a touchy subject sometimes -- it is a huge part of SEO since inbound links are the biggest signal that Google takes into consideration as they consider them to be votes of confidence. Building a bunch of spammy links in order to manipulate the search results is against their webmaster guidelines and can trigger a penalty, but isn’t building high quality links still against their guidelines? You need to build great links, but it doesn’t necessarily mean that you have to build them yourself. There are ways to earn high quality links, which is exactly what Google likes to see. Other websites naturally linking t your website and content because they feel it provides value. That is what SEO has morphed into and that direction is not changing. SEO and public relations need to be combined to combine SEO creativity and needs with public relations outreach mentality. We constantly hear about link building strategies, but when it comes down to it that is exactly what Google doesn’t want you to do. Many people have jumped on the “create high quality content” bandwagon and while content is a great foundation to earn links it doesn’t guarantee that you will instantly earn links by simply publishing content. When you create great content and share it across social media it introduces it to many people, and those mentions and shares can help you earn links. There are ways that you can earn links without violating Google’s webmaster guidelines and stay out of harms way. Of course there is always going to be a risk and nobody can predict what Google will do next, but these three practices are as safe as it gets when it comes to SEO. Use these three strategies in your online marketing strategy to help improve your search engine optimization efforts. Everyone is creating content these days so you need to create content that really stands out and that other websites will desire to publish. Infographics are one of those pieces of content that do very well. They get a huge amount of social sharing and website visitors love to interact with them. Not only can you earn links form the websites that agree to publish your infographic but there is a very good chance that many more outlets will publish it and link to you after they come across it as well. While the infographic design is very important, it is the topic of your infographic that will get it noticed by websites and editors. Make sure that you put a lot of effort into the topic and if you can create one over a popular topic of discussion within your industry it will help drive interest. If you are going to be approaching large authority sites offer them to have exclusive publication rights and propose a collaboration. This is a great way to target some high quality link opportunities. Everyone likes something for free, and if you create an attractive giveaway and letting major media outlets within your industry know it turns into a great way to earn natural links. With a little more effort you can also work on co-branded giveaways, which is virtually a guaranteed link earning opportunity. You can also offer free products or services to local charity auctions and organizations to raffle off. This will also often result in nice links from strong websites. Keep track of what local nonprofit organizations have going on in your local market. Often times these websites have very attractive domain metrics and a link from these sites can really improve your SEO efforts. Yes, we just said it, the classic “quality content” line that has been the SEO buzzword over the past couple of years. Some people will crank out content but forget the “quality” part. If you can only publish one blog post per week make sure it is high quality, rather than writing a few lower quality ones. If you can only afford to have one infographic designed per quarter do that rather than create several low quality ones. The only way you are going to get your content picked up by high quality websites is if it is high quality itself. 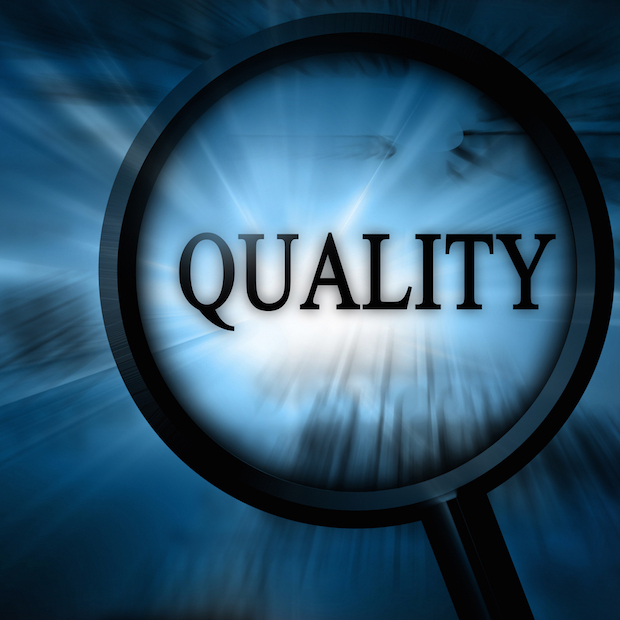 Never sacrifice quality for quantity -- it will never help your SEO, only hurt it. The web is being saturated with content, so make sure that everything you do stands out from your competition. Take your online marketing up a notch and you will catch the attention of the outlets that you reach out to. If you blend in with the crowd your content will be overlooked. Get innovative and come up with creative ways to earn links. SEO is a constantly changing landscape so you need to always come up with new ways to earn links. Use these simple tips and think of some on your own to push your SEO and link earning to the next level.